LONDON A British newspaper is suing Lance Armstrong for more than $1.5 million after it settled a libel case over doping allegations, saying that revelations of the cycling star's use of performance-enhancing drugs show the case was baseless. The U.S. Anti-Doping Agency concluded this year that Armstrong led a massive doping program on his teams. Armstrong was stripped of his seven Tour de France titles and banned from cycling for life. The Sunday Times paid Armstrong 300,000 pounds (now about $485,000) in 2006 to settle a case after it reprinted claims from a book that he took performance-enhancing drugs. 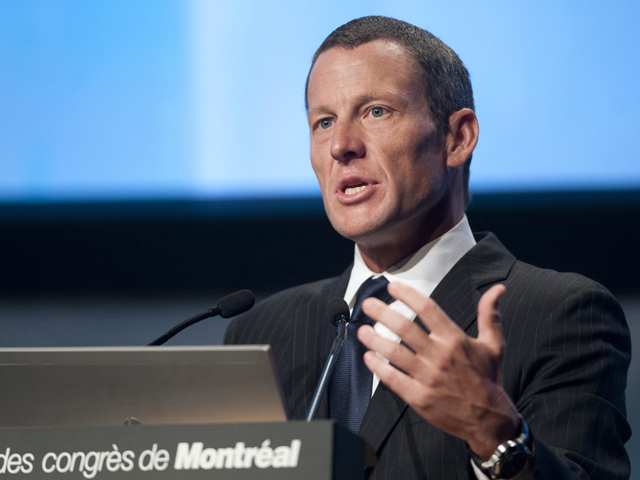 The paper said in an article Sunday that it has issued legal papers against Armstrong. "It is clear that the proceedings were baseless and fraudulent," the paper said in a letter to Armstrong's lawyers. "Your representations that you had never taken performance enhancing drugs were deliberately false." The paper, which is owned by Rupert Murdoch's News Corp., said its total claim against Armstrong is "likely to exceed" 1 million pounds ($1.6 million). "The Sunday Times is now demanding a return of the settlement payment plus interest, as well as its costs in defending the case," the paper said.